Turns out that Butch Walker was much more of a rocker and metal-head in his past. Like myself, he grew up as part of a generation and culture (small-town America), where the only way to get into music was through listening to the radio and watching MTV music videos (which USED to be on-air daily during prime-time and those couple extra hours between getting home from school and 'uh-oh, Mom and Dad are home!'). 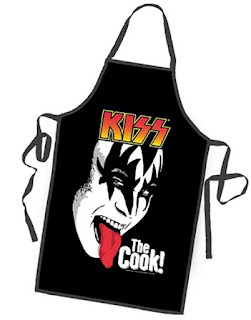 His love for rock music grew into the desire to play and write music, and later he yearned to 'make it!' in the music industry. With mixed blessings and curses, Butch persistently pursued his dream to make it in the music scene. He had a couple not-quite successful bands; the first being the 'hair-band' Southgang, the next was the 'number-band' Marvelous 3. Though neither of these bands led to lasting success, neither did they trap him in America's memory, forever tagged to a passing trend in music. Is his book he describes this as 'Falling backwards up the ladder of success.' A fitting analogy, as each endeavor brought small degrees of larger success. For Butch Walker, this was a long, slow, and far from steady rise. While he may have had shady record deals, or botched tour promotion strategies, he always seemed to learn from his experiences. Personal hardships have played a role is some of his major set-backs, but he shows remarkable resilience to keep working at his craft through thick and thin. He does not come across as an ego-maniacal Hollywood celeb, but rather a home-town guy you can identify with as he tells his tale. Whether it's recounting 'dead-dog-sledding' while on tour in China, catching helicopter rides in Hollywood backyards, watching people country line-dancing to Nine Inch Nails, or meeting guitar-god Yngwie Malmsteen years after his heyday, Drinking With Strangers is sure to prove an entertaining read. Some parts of this book are so funny you'd think they were thought up by the likes of some humorous writer, like Christopher Moore. However it's actually non-fiction, hard as it may be to believe at times. As Butch himself reiterates many times, he couldn't make this stuff up if he tried! Over the years, as he has matured, Butch has learned several valuable lessons from his experiences- both positive and negative, in the music industry. Butch Walker truly has developed a musician's broad appreciation for several genres of music and a personal drive to create music from the heart that has true meaning and doesn't depend on mindless promotion and marketing. His purpose in writing this biography seems to be as a guide for those interested in a career in music. He is putting his experiences out there for others to learn from. 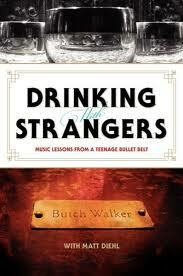 Check out this book, and see how Butch has gotten to where he is. It may prove invaluable to future aspiring musicians. 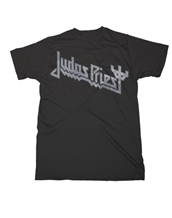 Hello heavy metal fans! I wanted to take a minute here, while there are still a couple days left to vote in the first half of the Sweet Sixteen of Heavy Metal Madness to remind you that Rock America is a sponsor of this contest. There is a gift card prize for the entry that finishes first in the poll, so let me remind you to keep voting! Even if your favorite picks are eliminated, some of your next-best choices could sway the final results one way or another. I hope everybody can find something at Rock America that fits their interest. 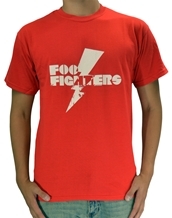 As a reminder, they are located at Gurnee Mills, and Woodfield shopping malls in the Chicago suburbs. Stop by and check them out today! Heavy Metal Madness: Second Round Summary, part 2! 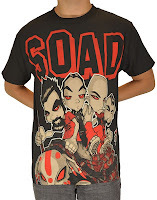 and System of a Down won a close match with Korn 18-15. Until the next round summary... Happy Headbanging! In regards to Iron Maiden's music, I was late to discover them. 1995 was the first time I actually started to buy some of their albums on CD. Although The X Factor was the newest release at the time, the first studio album I collected was Seventh Son of a Seventh Son. That album was the one that planted the seed of Iron Maiden fandom in me, and I have always enjoyed listening to it. Many songs were instant favorites of mine, while others grew on me over the years. Seventh Son was Iron Maiden's first 'concept album', and it told an intriguing tale of prophecy, fate, psychic power, corruption, and the classic struggle between good and evil. It is based on the mythology that a seventh son of a seventh son would be born with great psychic powers. 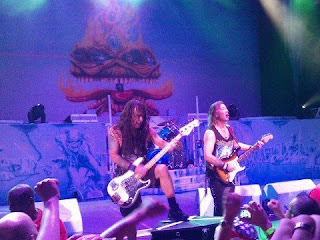 When writing music for this album, Iron Maiden's bassist Steve Harris was inspired by Orson Scott Card's novel Seventh Son, which deals with the same concept. Why all this talk about Seventh Son? Because on the Maiden England tour, Maiden decided to pay tribute to this album; resurrecting or re-inventing many of the stage sets, props, and imagery from the Seventh Son tour. They played a set list that also focused primarily on songs from that tour and the Seventh Son of a Seventh Son album, making for the most unique and memorable 'nostalgia tour' I've seen yet! Not to be overlooked, Alice Cooper was the opening act, and he also filled his stage show with some of his classic props, accessories, and role-playing to interpret many of the lyrics. Always a theatrical rock performer, Alice Cooper made a perfect pairing with Iron Maiden on this exciting night of classic heavy metal. As the sun was beginning to set, and the crowd was buzzing in the early July heat, the stage became the focal point as sound began to roll out of the speakers. However there were no guitars or drums... yet. The sound that welcomed us to this night of gruesome and theatrical heavy metal was a snippet of spoken dialog. 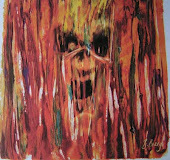 It was taken form Alice's 'Welcome to My Nightmare' album, and it proved to be the intro to 'The Black Widow'. Now, 'The Black Widow' was a pretty obscure track to kick of a show, and I was loving it, but then it got even better. As Alice began to sing, he raised his arms to reveal he actually had 8 arms! (Actually, it was 6 prop-arms, but they were strung like a marionette's arms so that their movements synchronized with Alice's real arms.) What a cool stage-effect to start the show! Next song was the title-track from the Brutal Planet album, perhaps the heaviest song Alice has ever recorded. It seemed he was hand-picking songs for a metal audience tonight. Alice proceeded to offer a variety of his best-known hits from the 70's, 80's, and 90's. A memorable moment came when he performed 'No More Mr. Nice Guy' with a live boa constrictor 'round his neck, and for proper context, he change a line to 'My snake bit me on the leg today...' There was also a giant Frankenstein's Monster that came out on stage during 'Feed My Frankenstein'. There was a spotlight guitar solo, featuring Orianthi, who now plays lead guitar in Alice's band. She was phenomenal, but that's to be expected from a prodigy such as she. The most shocking portion of Alice's show, both for song selection, and theatrics, was when he played 'Wicked Young Man'- a song with lyrics that deal with the psychological mind-set of school shootings. As the antagonist of the song, Alice was apprehended by 3 skeletal figures at the end of the song, placed in a guillotine, and decapitated! While this transpired, the band faded into the song 'I Love the Dead'. "Seven deadly sins, seven ways to win. Seven holy paths to hell and your trip begins..."
The spoken intro of Iron Maiden's classic album washed over a hushed crowd. The same crowd soon began to invigorate as the tempo and energy of 'Moonchild' soon reached full speed. While the band was firing on all cylinders, Bruce made his energetic entrance, running to center stage right as he started singing the first lyrics of the song. Iron Maiden were off and running (literally in Bruce's case), and we were in for a truly special night of epic heavy metal! 'Can I Play with Madness' was the next song, another selection from Seventh Son, and I was again being taken back in my mind to the first time I heard Iron Maiden's music. This song has always been one of my favorites! After that, the set-list slipped into a collection of songs mainly focusing on pre-Seventh Son-era material, with the exception of 'Afraid to Shoot Strangers' from Fear of the Dark. I was into this show like no other. I was living in the moment, even if that moment was 25 years ago. I felt like I was getting a rare opportunity to hear what Maiden were like back in the days before I had even become a fan of theirs. This was an opportunity you don't get with every band you see these days. Maiden were giving me that chance. Some lesser played songs like 'The Prisoner' and 'Phantom of the Opera' were dusted off and played to perfection. Other classics like 'The Trooper' and '2 Minutes to Midnight' were simply too good to be omitted, and though the band has probably played them thousands of times, they still played them with enthusiasm and 110% effort. 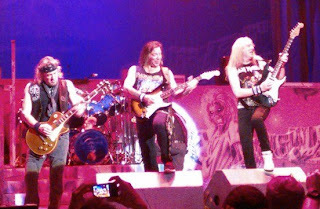 Sure, I was lucky enough to have seen Iron Maiden 2 summers ago, but there were people in the audience seeing this band for the first time, and they would not be let down! True to form, Bruce carried a battle-tattered Union Jack flag during the aforementioned 'The Trooper'. 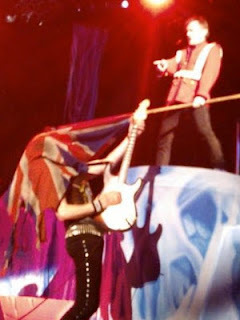 At one point he dangled the flag back and forth over guitarist Janick Gers' head during his guitar solo. But tonight was the exception to the rule. On a tour designed to revisit this specific album, the title track became the centerpiece of the concert. 'Seventh Son of a Seventh Son' is a progressive metal masterpiece, often overlooked in favor of other progressive songs Maiden have written over the years. 'Rime of the Ancient Mariner' comes to mind as perhaps the 'Critics' Choice' among Iron Maiden's collection of 'epic' songs. However, the way 'Seventh Son...' ties together the story line for a concept album makes it well worth exhibiting live in concert. 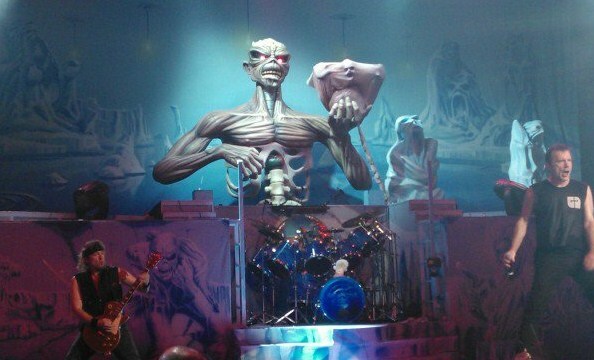 What made the experience even more memorable was the giant Eddie, designed after the Seventh Son album cover, complete with the unborn 'Seventh Son', struggling within the placenta during the performance. The next song was also from Seventh Son: 'The Clairvoyant'. This is another personal favorite, and my appreciation for hearing so many tracks from this classic album was beyond measure. I may have missed the last couple 'nostalgia' tours from Iron Maiden, where they've revisited other 'classic' tours from their past, but I'm so glad I caught this one. In many ways, it has brought my Iron Maiden listening experience full-circle. The band's performance was top-notch throughout the entire concert. Weather they were playing the vintage classics, the deep tracks, or some fan-favorites, they performed them with near perfect precision. The current 3-guitarist line-up of Adrian Smith, Dave Murray, and Janick Gers is always a treat to behold, and on this night they brought new life to a previously dormant section of Iron Maiden's classic past. 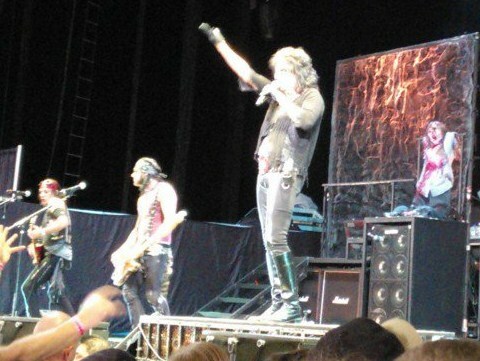 They also played 'Fear of the Dark' as another post-Seventh Son fan favorite. 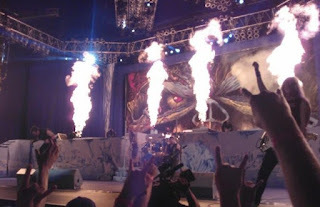 They closed the main set with the song 'Iron Maiden', but as one would expect, they returned for an encore- which included 'The Evil That Men Do', as one last track from Seventh Son of a Seventh Son. "Seven are your burning fires... Seven your desires."